Hot melt adhesives, being a thermoplastic, are applied by heat and set by the loss of heat. A cold bond, which can cause a bond to fail, occurs when the adhesive has started to set (loss of heat) before the materials have been brought together. 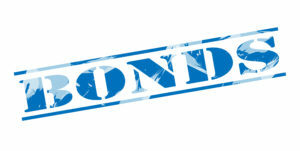 The bond will often appear to have been made and be solid but may fail at a later date. Always get the glue down hot, bring the substrates being bonded together quickly and apply compression. If the adhesive is not hot enough (in the molten stage) when applied, a bond may be made which will fail later (cold bond). Always use a Tec glue gun to apply Tecbond adhesives! Exceeding the open time of the adhesive. Open time is displayed as Short: 1-15 seconds / Medium: 15-30 seconds / Long: 30-60 seconds. Exceptions are the Spray-Tec semi-pressure sensitive adhesives – these products have an open time of up to 6 minutes, e.g. Tecbond 430. Always get the glue down hot, bring the substrates being bonded together quickly and apply compression. Trying to apply a short open time adhesive to a large area. Always use the correct Tec glue gun and adhesive for the application e.g. if you had to bead adhesive over a length of 1000mm x 1000mm then you would struggle with the smaller tools in getting the glue down hot. When gluing large areas, step up to a 43mm tool or pneumatic tool, or alternatively use an adhesive with a longer open time, or may be a combination of both! When bonding materials like metals and alloys, which can often be cold, watch out for them chilling the adhesive and therefore reducing the open time thereby leading to a cold bond. Apply heat to the materials prior to bonding or hold the nozzle tip on the surface for a few seconds, then apply the glue to help reduce the chill factor. Golden rule: Always use a Tec glue gun with Tecbond adhesives and get the glue down hot, bring the substrates being bonded together quickly and apply compression.